Hola My Fashion crazy ones!!! 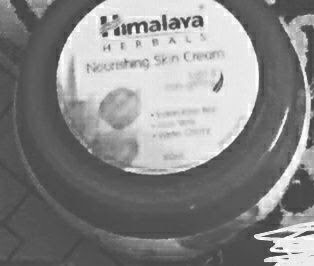 Remember I was talking about how Himalaya has some really awesome range of products to protect us from dry, dead skin this winter. Lets take a deep plunge into the same and let me give you some more specifications on those. Himalaya's Soothing Body Lotion is a silky, lightweight and non-greasy body lotion that combines all the goodness of naturally derived ingredients to soothe and moisturise your skin, making it look noticeably softer and smoother. The oils of Almond and Grape Seed prevent skin from cracking and provide hydration to help maintain the skin’s natural moisture balance. Almond Oil is an excellent skin softener which moisturises your skin. The Vitamin A in the oil fights infections. Apply Soothing Body Lotion gently all over the body, slowly massaging it in. 100 ml, 200ml and 400 ml. 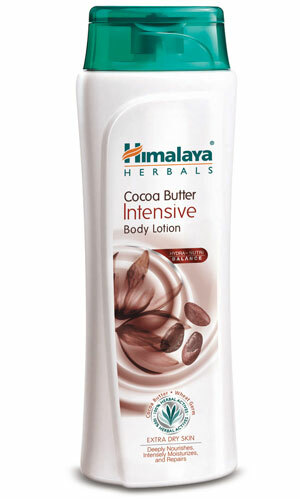 Himalaya's Cocoa Butter Intensive Body Lotion is specially formulated for dry skin. It intensely moisturises, softens and smoothens your skin. Cocoa Butter's deep-penetrating, natural ingredients help repair and nourish skin as well as making it supple. Our moisturiser is enriched with the goodness of Cocoa Butter and Wheat Germ Oil, which replenish the lost moisture in dry skin. Naturally derived ingredients restore skin's elasticity, leaving it softer and more toned than before. Cocoa Butter, also known as the oil of theobroma, is a high-quality emollient and a skin softening and moisturising agent. It promotes healing and prevents the skin from drying and cracking. Cocoa Butter also contains antioxidants that can help repair damaged skin. Wheat Germ Oil is a rich source of natural Vitamin E, which nourishes and boosts the skin's elasticity. • It’s non greasy and non oily and just provides enough moisture your arms or legs. • It gets absorbed on my entire body without rubbing much. • It is a great everyday lotion for normal skin. • Comes at affordable price. • Available all over India. • It contains wheat germ oil, which is a natural vitamin E element. I dont find any cons to the products and I think that Is Himalayas USP. I hope you find these products as wonderful as I do and try them yourself to believe the magic of Himalaya Herbal products.